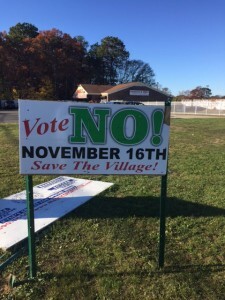 Dissolution of villages begins one of two ways, the village board passes a resolution to initiate the dissolution process, or the village board receives a petition from its registered voters calling for a vote on dissolution by the electorate of the community. In 2010, New York State amended the General Municipal Law in order to make it easier for communities and residents to embark upon the dissolution of government. Since the GML 17-A became effective, seventeen (17) villages have voted to dissolve, eight (8) of which have voted since 2015 alone. While the process may be easier to call for a vote for dissolution, communities should be wary of the many “Bumps, Bruises, and Pitfalls along the path to dissolution”. This article focuses on the “voter-initiated” dissolution process of dissolving a village, as a “board-initiated” process can avoid many of these bumps and bruises. (Note this same process also applies to towns and to special districts). Having worked with the villages of Salem, Macedon, Port Henry and now Mastic Beach, Laberge Group has identified several challenges, and aligned them into the following three segments of the dissolution process: Pre-Referendum, the Creation of the Village Dissolution Plan, and the Transition/Implementation of the Plan. With only 10% of the voters’ signatures needed, this can often be an easy milestone for many communities to initiate the dissolution process. However, this milestone marks the beginning of the “great divide” of a community and residents often are begin choosing sides with very little information at this point. Once the petition is submitted, the process and mandatory timelines associated with dissolution begin. The petition must be verified within 10 days, and then the village has 30 days to call a meeting to set the date of the referendum to vote on dissolution. The vote has to be no less than 60 days and no more than 90 days from the date of the meeting. This is an incredibly tight timeline, and does not lend itself to a thorough review of the facts prior to a vote. Some communities are caught off guard, some are in denial that dissolution is a real possibility, while others want to be able to answer their constituent’s questions but just do not know where to begin. This review is meant to create a snapshot of how dissolution will affect the communities. It is critically important to the process, for without an adequate interim study, Village residents are incredibly vulnerable to voting with either their heartstrings or their purse-strings – not with a well informed opinion. Often residents who push or vote for dissolution believe that their current debt and liabilities will be spread out over the entire town upon dissolution. Unfortunately, your debt goes with you. In fact, debt may go with you at the same interest rate regardless of whether or not the new government has a better bond rating. During the dissolution process, each loan and indebtedness obligation should be reviewed to see if it can be restructured. However, upon dissolution the former village will continue to pay any and all outstanding debts until gone. Once the referendum is conducted, and the electorate has decided to dissolve the village, the community will embark on the development of a Dissolution Plan in accordance with the provisions of General Municipal Law 17-A. Following the confirmed results of the vote, the village board is required to meet within 30 days to acknowledge the results and establish the start of the dissolution process. 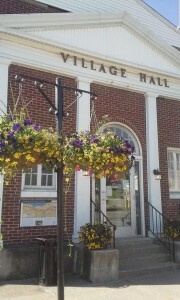 The Dissolution Plan must be approved within 180 days of this village board meeting. While you have 180 days to approve the plan, it can be very difficult if communities have any of the following: public safety services, municipal water and sewer, if a village is within more than one town and/or county; etc. In addition, the short timeline does not allow for assessments of Village infrastructure, capital improvement planning, municipal audits, or property assessments. One of the challenges involved with the development of a Dissolution Plan is gathering the data and making the data “work”. 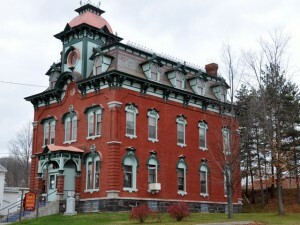 It is extremely difficult to reconcile budgets when the fiscal years of a village and a town do not match; data is not always captured in the same way; property assessments may or may not be at the same equalization rate; property specific records may not be kept; data may not be reported to NYS in the same fashion or timely; and municipal records may not be up to date. A reoccurring issue through all stages of the dissolution process is that the town is not required to participate in the process. The town, which would be responsible for the former village upon dissolution, has no obligatory requirements to participate and town resident’s have no say (or vote) as to whether or not the dissolution occurs. 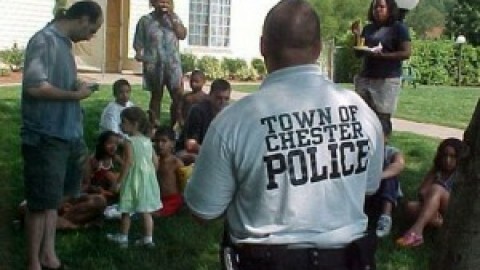 Without a town’s participation, there are many assumptions that a village is forced to make with respect to its employees and whether their employment will continue or be needed by the town; future services and special districts the town will provide; future costs associated with those services; and whether specialty equipment or assets the village has is or isn’t needed by the town. This is a huge obstacle – almost monumental, as it can breed a level of mistrust in the conclusions of any information prior to the referendum as well as the Dissolution Plan, and often lends village residents to rally against the Dissolution Plan. 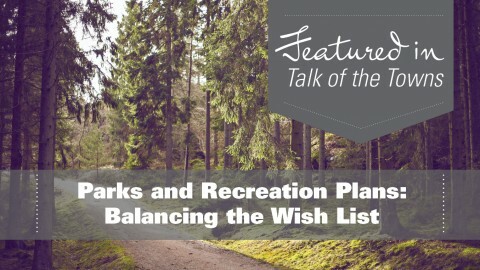 Without Town representation, residents feel as though the “plan does not matter without Town approval or buy-in” as it does not need to be implemented as written by the Town, nor does it need to be approved by the Town prior to its adoption by the Village. This feeling of mistrust makes village residents question whether what they are voting on will indeed be a reflection of their future governance. While dissolution often results in a tax savings for village residents, many village residents question whether their services will meet the same standards that they are currently accustomed to or if services will be reduced because of this lack of required commitment by the town. Pitfall: How does a Village Stop Dissolution? 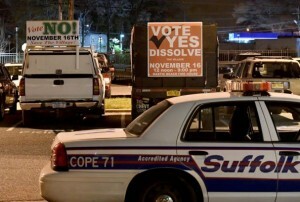 While the law requires 10% to start the dissolution process, it requires at least 25% of voters to stop the dissolution. It is very difficult to muster the campaign to get 25% of the registered voters to sign a petition to call for a second vote within 45 days of the adoption of a dissolution plan. Should the petition be successful, a new timeline is set forth that begins with 10 days to verify and certify the petition, 30 days to call a meeting to set the referendum date, and a referendum that is not less than 60 days but not more than 90 days away. This new timeline often puts a severe crimp on the timeline set for dissolution, and if not planned for, will cause many challenges for the transition of the community leadership and services. But does dissolution stop??? Currently there is no case law that resolves what happens after this second referendum. The law currently reads “If such a majority vote does not result, the referendum shall fail and dissolution shall not take effect.” Some argue that dissolution has already been voted on and therefore the plan just needs to be revised until satisfactorily accepted by the voters. Others believe that dissolution fails. To complicate it further, if the first referendum failed, dissolution would not be allowed to be initiated for another four years. However, the law does not speak to the timeline associated with the second referendum. If a revised law is not introduced to address this question, it is only a matter of time before it becomes a legal decision of the courts. In 2010, when New York State amended the General Municipal Law, it also provided the Citizen Empowerment Tax Credit. 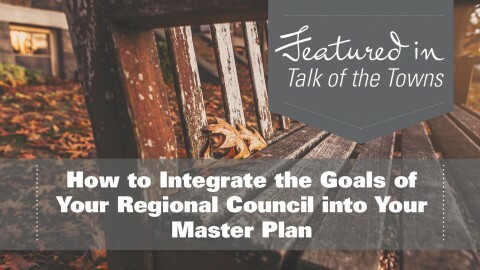 This tax credit incentivizes dissolution/consolidation with an annual tax credit to aid local governments, equal to 15% of the combined amount of real property taxes levied by all of the municipalities involved in the consolidation or dissolution, not to exceed $1,000,000. This is an annual tax credit provided for perpetuity (as the law is currently written). At least 70% of this tax credit must be used for property tax relief. The effective date of village dissolution can be another bump or a major pitfall in the process. The Dissolution Plan identifies the date that dissolution will occur. The law states that dissolution may not occur in less than 45 days from the adoption of the Dissolution Plan. This is to allow time for signatures to be submitted for the second referendum. But to “close up” a village there needs to be adequate time to wind down the affairs of government. In fact, any timeline less than one year can cause significant stress on both the village and the town. While the Town did not have to participate before, it now has to take the lead and begin implementation. The two communities need to be able to work together. 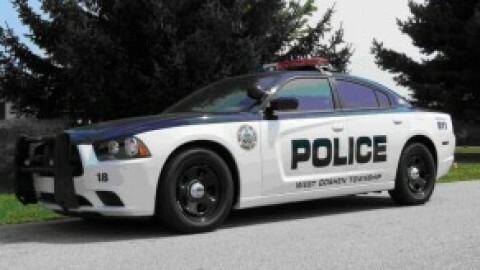 The town will need to have time to adopt a budget that accounts for the former village, transfer employees, create special districts, reassign contracts and loans, transfer deeds and titles, etc. While most communities would say there is no good time to dissolve, there definitely needs to be adequate time and forethought in the dissolution date. While the intent of the process is to remove duplicative layers of government and reduce taxing districts, Village dissolution often results in the establishment of additional special districts by the town. These districts are formed to provide services that the former village may have had, but are not provided town-wide, such as but not limited to: water, sewer, lighting, sidewalk, fire, and park districts. One of the pitfalls of dissolution is that it requires the creation of these special districts to be subject to a permissive referendum. However, most of these times these special districts are for services and debt already incurred in the former village (water and sewer for example). The law does not exempt these special districts from a possible permissive referendum, creating a possibility that the electorate may choose to vote down a district that already “existed” prior to dissolution. Regardless of the process, there will be emotions battered and a community divided as a result of dissolution. As with every transition in leadership, the continuity of governance is a sacred part of our democracy. However, in the case of a village dissolution it is even more challenging. Often the employees that are not being transferred are forced to look for work elsewhere and their jobs are not filled. Employee moral may be at an all time low, and services still need to be provided. 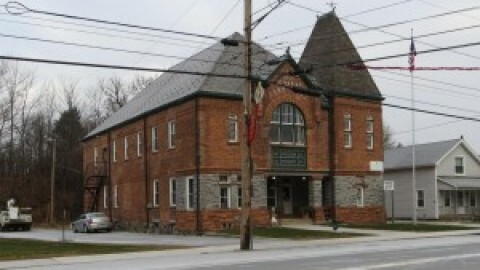 In many cases the outgoing village administration may wish to enter into an Intermunicipal Agreement to provide necessary services, yet there is not a budget to pay for it. It takes strong leadership of both the village and the town to navigate these potential pitfalls in order to come out the other side as a stronger community. These are hard times for villages in New York State. 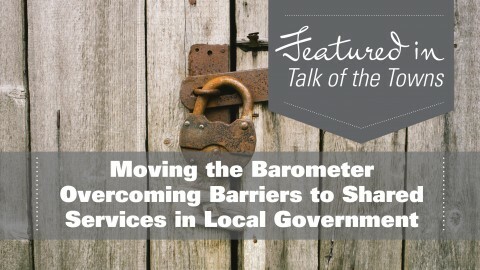 With residents and community leaders looking for every opportunity to realize greater efficiencies in services while simultaneously lowering costs, the conversation often turns towards dissolution as a quick answer. However, it is prudent to embark on the journey of discovery with your eyes open, and make decisions based on information and not on emotion. It may be better to take a step back as a community and begin the process with information and a plan, for once a petition is submitted and validated, the process becomes a sprint through rings of fire across obstacles and pitfalls rather than a scenic marathon. In both cases there is a finish line, and everyone is exasperated, but if you planned well, are trained for all scenarios, your community come out a winner. NYS Department of State does provide funding and technical assistance for the development of the interim Report through the Citizen’s Reorganization and Empowerment Grant Program. 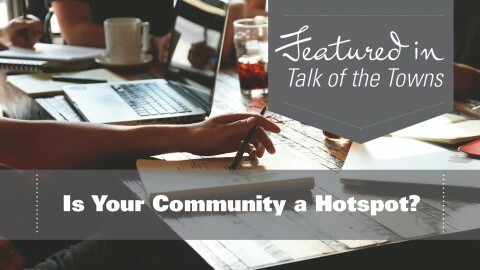 Is Your Community a Hotspot?